The Gold Standard of Cast Iron Cookbooks! 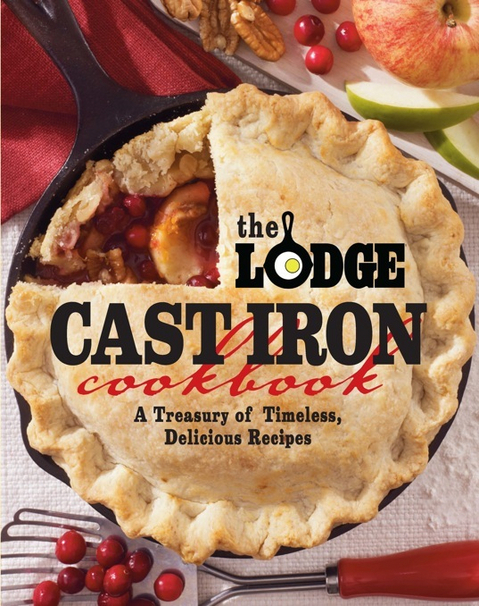 The Lodge Cast Iron Cookbook: A Treasury of Timeless, Delicious Recipes The Lodge Company has been producing cast iron cookware since 1896 and is the only domestic manufacturer of the cast iron pan. Who better than Lodge to produce a comprehensive cookbook with over 200 recipes and photos plus detailed information on the care, maintenance, and even renewal of cast iron. 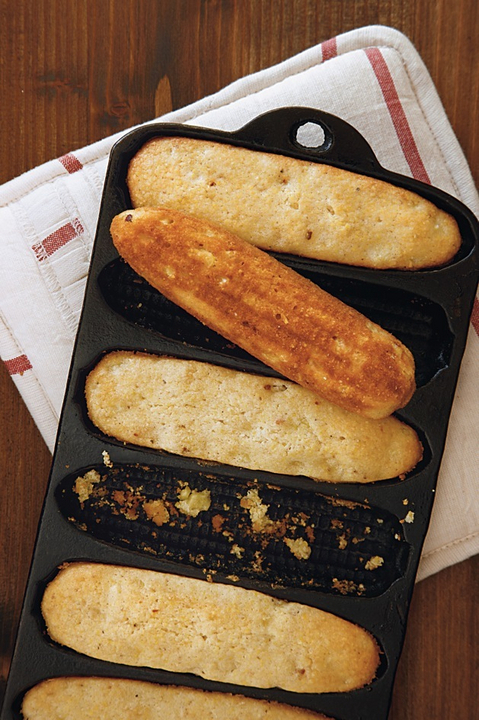 I have a huge collection of cast iron which I cherish so I joyfully contributed two of my favorite recipes baked in cast iron to this wonderful book: Corn Fingers baked in cast iron corn finger molds and No Knead Bread baked in a cast iron Dutch oven on a grill. I also shared the story of my personal connection to cast iron but I'll now admit to having left out an important part that I'm about to disclose for the first time: My first cast iron frying pan was stolen! By me!!! Here's how it happened and trust me, it was totally unintentional, at least consciously. It was early into my freshman year at the University of Vermont. My boyfriend David Gibbs, (a Vermonter who became my first husband) introduced me to cast iron saying it was unequaled for frying bacon and many other purposes. I hefted the 11-inch pan and immediately experienced a "have to have" moment. I think it was about $7.00 which was more money than either of us could afford. 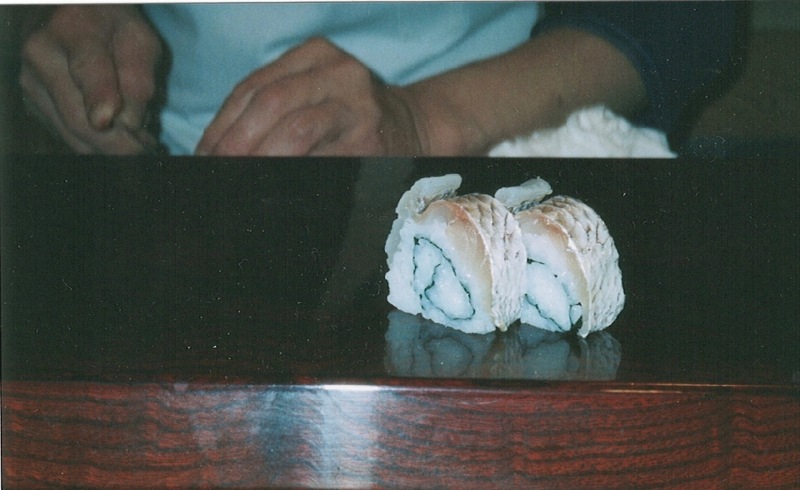 We walked through the store, and reluctant to leave the pan behind I hadn't yet returned the heavy pan to the hook. We left the store without buying anything and walked into the parking lot when, to my astonishment, I discovered that the frying pan was still hanging from my right hand. I suppose I had gotten used to the weight and it had become a part of my arm. OMG I said. We'll have to return it. David, in shocked disbelief said something along the lines of: we'll be in more trouble if we try to bring it back--just keep it! I was horrified and delighted all at the same time. I still feel a little guilty. And I still have and treasure the pan. Back to the book: you will love it! It was written and edited by Pam Hoenig, one of my favorite editors whom I worked with at William Morrow many years ago. The contributors include many of my dearest friends and colleagues in the profession. I'll list them in alphabetical order: Nancy Baggett, Jessica Harris, Beth Henspberger, Martha Holmberg, Susan Purdy, Joanna Pruess, Elizabeth Karmel, Nancie Mcdermott, Michael Mclaughlin, Chris Schlesinger, James Villas, Nach Waxman, and Dede Wilson. On a special note, the fabulously flavorful short rib barbecue sauce, containing molasses and bourbon, contributed by Joanna Pruess, was one I had been saving for several years after she first published it in the Gourmet Retailer. (Coincidentally, just a few weeks ago I finally had made it!) She also offers bigos, a pork and cabbage stew, my former long time Polish housekeeper made every Christmas, and always brought me a container. Now I have a recipe for it and know it's one I can count on being about as wonderful. I also was delighted to discover that long-time friend Nach Waxman, of Kitchen Arts and Letters, a terrific cookbook store in New York City, in his recipe contribution adds his cooked al dente spaghetti to the reduced tomato sauce and fries it til some of it turns crispy-- which is just what I do! But I never knew it was ok to add something so acidic to a cast iron pan. Pam writes: "...if your cast iron pan is well seasoned, the iron is impervious to whatever you decide to put into the pan." I can't way to try it--I bet it will be crispier. This invaluable information is an example of what makes this book a "must have"!